Watch our Game Day 2018 Recap Video! 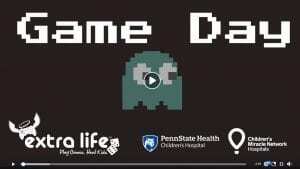 Our Extra Life Game Day 2018 was epic! Even if you weren’t able to join us in person we wanted to give you a peak of the fun that was had. Previous post: West Chester Gold Gamers Game for Good!